Today we should be getting some cooler weather and I am READY. Our AC is not great and our house was a pretty sad place to hang out this weekend. Hot hot hot. I had previously invited my family over for a quintessential fall lunch of chili followed by apple crisp. Yep, we probably would have all been better off grabbing a Popsicle and calling it good. 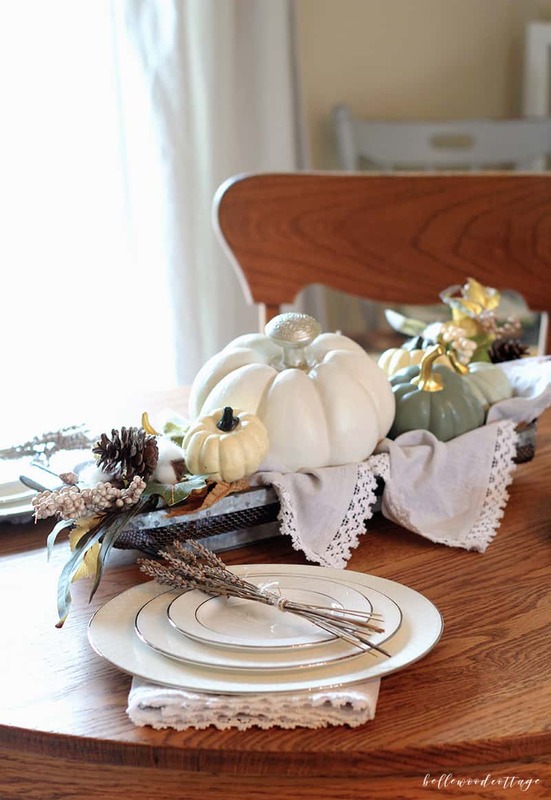 Anyway, I’m here to share my fall table centerpiece today so let’s get started! 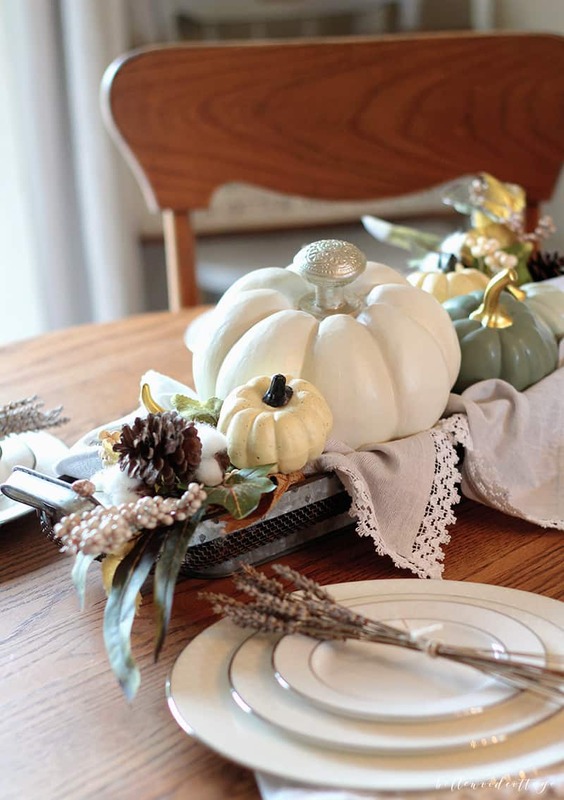 I made this centerpiece mostly from re-using decor pieces that get shifted around the house. I do this often because it’s a chance to be creative and it keeps the decor budget to a minimum. 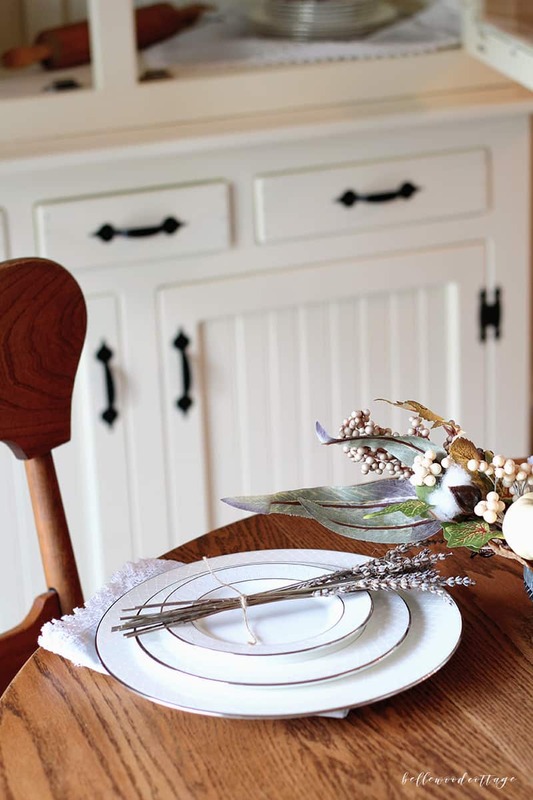 This particular centerpiece is also small and easily moved off the table if more serving space should be required. Nice for those times when you know, you actually want to serve at your table. Some of the ideas I see on Pinterest are gorgeous, but include so.much.stuff that the whole “we’re going to eat here” concept is a little lost! It’s so easy to put together. First, start off with a long shallow basket (like mine here). Use fabric, burlap, a cloth napkin etc. to hide floral stems and add some dimension. Center your main piece, in this case a medium-sized statement pumpkin (uh, like a statement necklace, but you know, a pumpkin), from Marshalls. Then I like to add in some floral picks. 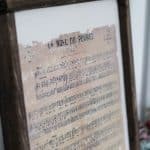 I have found these to be a budget-friendly item because they are usually inexpensive and fill out a design nicely. 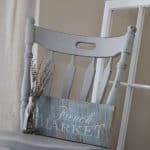 These ones are from Hobby Lobby (buy them on sale!) and I love how each one includes a tiny cream pumpkin. I couldn’t find them online to link them here, but they are $4.99 regular price. I found them with the other fall floral picks in the seasonal decor section. To finish everything off, I added some dried lavender bundles on the plates and called it a day. 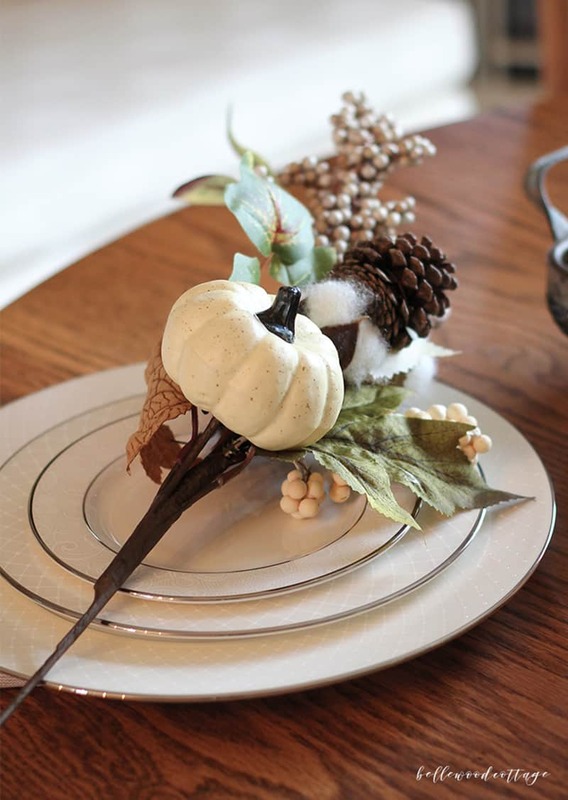 So there you have it, a simple fall table centerpiece. 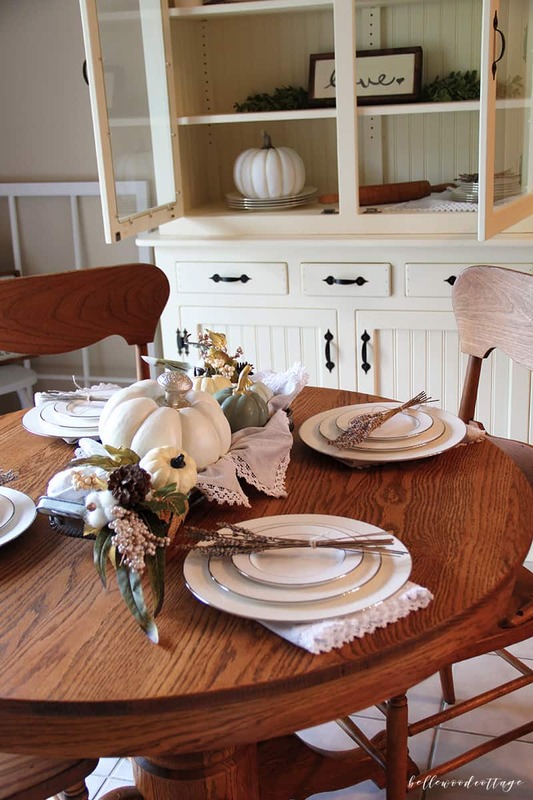 Do you decorate your table for fall? Let me know in the comments!